On behalf of the Street Basketball Association and SBA Sports Management Group, we want to thank our staff, partners, colleagues, associates, streetball fans and basketball enthusiasts around the world for everyone’s support over the past 17 years! This year we are poised to take the street ball industry to heights unimagined 17 years ago. We entered this industry in 2001 with dreams of developing a professional domestic street ball league. We made tremendous progress toward that goal, but the reality was that we were about two decades away of the official delivery of that lofty goal. 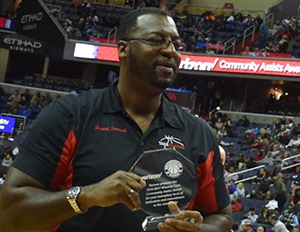 Our charter team, the DC Legends was coached by former NBA player Charles Smith and took the streetball circuit by surprise by winning their first 50 games against competition throughout the East coast. In the beginning of our journey, we toured 15 U.S. cities with Jay-Z on the Sprite Liquid Mix Tour and were undefeated….playing the best talent across the country. We did 3 cross-country tours simultaneously with Cingular Wireless and the NCAA; playing during all the March Madness games. Our All star players performed in 30 states and 8 countries in a 5 year span. In 2003, our SBA Pro Team, consisting of former college players and international players, represented the U.S. in Amsterdam at the Harlem Basketball Week Tournament where we defeated a USBL All-star team coached by my former teammate, John Starks. The following year our SBA Pro Team, with Georgetown’s Victor Page and Maryland’s Duane Simpkins competed in Copenhagen, Denmark. A United Kingdom company, Ocelot Productions, produced an exclusive video of streetball moves and ‘pickup’ game action of the SBA Allstars for the Book of Cool at the world famous Rucker Park. Baby Shaq, Silk,Pat Da Roc and Harlem World each demonstrated their signature moves for the video. A few months later, we partnered with McDonalds and Justin Timberlake to produce a basketball clinic for inner city youth during McDonald’s “I’m Lovin’ it” campaign. For twelve consecutive years each summer we co-produced a Basketball and Life Skills camp for under-served youth with the Take Charge Program. 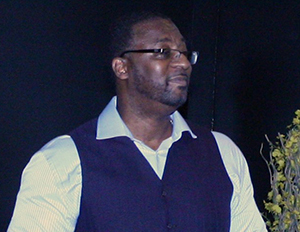 In 2006, we took former NBA player Robert Reid to India with the Punjab Sports Department as the first NBA player to direct a basketball clinic in the country. We also did the NCAA Final Four Slam Dunk Show, performed at the NBA All Star Weekend Jam Session, the NFL Superbowl Celebrity/Basketball game, and were the feature game during the CIAA Super Saturday for 4 years, culminating with consecutive 30 plus point blowouts against the CIAA’s best talent. We signed a basketball license deal with Huffy Sports and a 3 year apparel deal with Nothing But Net Clothing Company to design, manufacture and market active wear and licensed goods to include SBA team uniforms. Our Sports Management Division was able to represent talented players who competed in China, Germany, Brazil, France, the NBDL, CBA, WBA, USBL,ABA as well as players who became featured AND-1 Tour members. Additionally, we managed former NBA player Litterial Green during his first year coaching in the WBA , when he was named WBA Coach of the Year. One of our players won the Magic Johnson's Who Got Game basketball reality show while another was a 2-time Nike Battleground champ and Red Bull King of the Rock champ. We traveled to Africa and organized, staffed, selected and trained the Gambian National Men’s and Women’s basketball teams. We also produced an exhibition game in The Gambia with the largest audience ever assembled for a live basketball game in the capital city of Banjul. A SBA delegation of 38 people traveled with the team to The Gambia for the exhibition game and the country’s Independence Celebration. In 2008, we were contracted by America’s Next Sports Star to secure and manage the talent and to direct the tryouts for their sports Reality Show which was broadcast on Versus television network. Toward the end of the decade,we were beckoned to become a model organization for the development of street basketball. We began the process of answering by organizing an official sanctioning body for streetball. In 2009, representatives from 5 continents agreed to become founding members of the SBA International Basketball Federation. 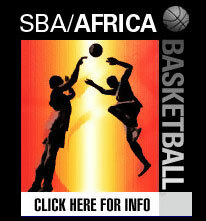 Having made appearances in 5 of the 7 continents, the SBA has become the undisputed leader in Street basketball and grassroots basketball development. Our executive team was able to develop a new property in the spring of 2009, the SBA/USA Legends of Basketball Team, who opened in Europe in November 2009. This SBA product featured a team of former NBA players, with two hall of fame players, paired with 7 of the best streetball players in the world. The success of this SBA Legend's Team has created a SBA property comprised of some of the best known names in basketball. Accordingly,the SBA Sports Management Group signed 10 former NBA players to post career basketball management opportunities. Following James Harden’s MVP caliber season in 2014, we took him to China for an historic tour to further promote the sport of basketball in the world’s most populous country. With women’s basketball in the United States on a decline, the SBA has initiated a grassroots program for girl's/women's basketball development. This organization is officially called HerBasketball. The Revolution is Her is the official motto. HerBasketball is a grassroots social and athletic organization for female basketball players to inspire excellence on and off the court. HerBasketball will be a pioneer in the efforts to truly champion women's rights and equality;whether it's center court or on the Supreme Court. And in August of this year, the SBA will return to the continent of Africa as we have officially partnered with Vanyke Streetball to create streetball properties in Port Harcourt, Nigeria. Professional basketball has evolved since we started this journey in 2001, and we believe that with the overwhelming interest in summer basketball and culture, our league is soon to take flight. Stay tuned to the Street Basketball Association! Thanks to each of you and our dedicated staff for believing in this vision.